Serious and quantifiable improvement, in any quest, necessitates specific goals and objectives with imposed deadlines. If you merely want to get stronger this year, then visit your local gym and start working out. But, if you wanted to squat 500 pounds by June 1, then clearly defined and methodical training is essential. In part one of this article series, I will give a brief historical account of Periodization then define how it applies to training methodology. I will elaborate on the importance of implementing a defined and time-segmented plan into your arsenal. I will also introduce the annual training plan including the different phases that comprise the year. Characteristics of each phase as well as the phase’s time components will be discussed. Lastly, I’ll present some figures illustrating the Periodization of an annual plan. It has been said, “If you fail to plan, you may as well plan to fail.” Achieving precise goals requires appropriate planning. Proper planning requires a systematic approach of mapping out methods and strategies at suitable time intervals to ensure task completion. In the realm of athletics and sports, planning is germane to preparing for competition and helping athletes achieve high levels of training and performance. 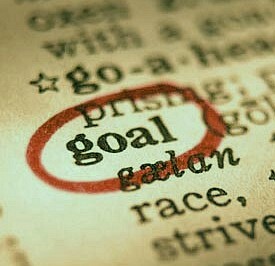 Without blueprints or roadmap directing you toward a goal, the probability of successful achievement is dubious. Your plans should not be so rigid and inflexible to the extent of compromising the integrity of the mission. Coaches and athletes need to be able to discern when to back off and when to push one’s limits. The annual plan simply serves as an outline to direct and focus your efforts. In organized team sports, coaches and trainers are responsible for scheduling training. Athletes must then rely on the coaching expertise of the staff. In sports contested by one person like boxing, golfing, powerlifting, skiing, tennis, track and field, and weightlifting, the coach can confer with the athlete and together they can determine applicable schedules. Sometimes in these sports, especially at the novice to intermediate levels, the athlete coaches themselves and is responsible for the training format. This is when athletes will occasionally utilize an aimless and random approach. One of my training partners has recently had success with an arbitrary approach. He is the exception to the rule. When many of today’s competitions are decided by hundredths of a second, a few pounds, one half inch, or one point, I prefer leaving my fate in the hands of science rather than chance. All planning begins with a specific objective (what?) and a deadline (when?). Certain sports require different and sometimes unique training objectives. All sports require multilateral physical development, sport specific physical development, technical mastery, psychological preparation, injury prevention, and overall theoretical knowledge. Most sports are contested during a specific season or part of the year. Consequently, organizing the annual training plan into a specific time frame is crucial. 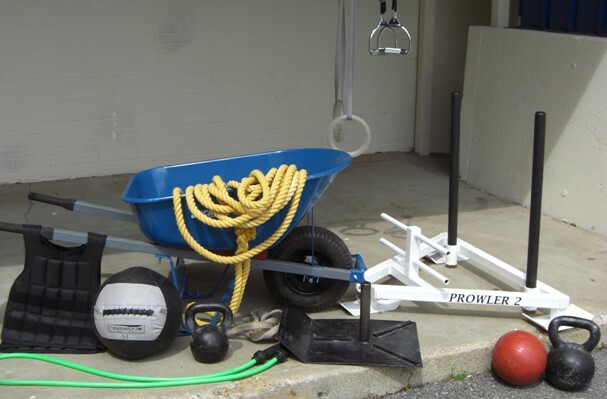 Minimalism is the best approach when considering training objectives. Only focus on the objectives related to the sport’s specific tasks. High jumpers need not place cardiorespiratory endurance at the forefront of their efforts. Moreover, a marathoner will never be summoned to clean and jerk their bodyweight. Athletes and coaches alike, mistakenly waste valuable time and energy on acquiring irrelevant skills. Once the training objectives and deadlines have been established, it’s time to design the annual plan. Periodization of an annual training plan is marked by three distinct phases: preseason or preparatory, in-season or competitive, and the off-season which is also known as the transitional phase. The competition calendar dictates formulation of the annual training plan. After a major competition or at the beginning of the calendar year, the athlete or coach marks the dates of competition in the following year. Once those dates are established, training commences with the preparatory phase. The preparatory phase is, in many instances, the most important training phase. This is where you build your foundation. Architects and engineers recognize the importance of building a solid base before erecting structures of significant magnitude. They begin by pouring tons of concrete which is then reinforced with steel rods and iron beams. Athletes must follow suit by pouring the bulk of their training volume into this initial phase. Just like tons of concrete, a high training volume is mandatory for adaptation to the imposed stimuli. If inadequacies in training volume exist during this phase, there will be definite, negative, and noticeable consequences during the competitive period. The preparatory phase usually lasts between three and six months depending upon the nature of the sport. Certain team sports might employ shorter preparatory phases but not less than two to three months. “For individual sports, it should be one to two times as long as the competitive phase.” (5) Furthermore, the athlete’s age and sports classification must be considered. The length of the training phase and load characteristics will depend upon the level of the trainee. For simplification, Bompa then divides the preparatory phase into two subphases – general and specific preparation. The principal objective of the general preparatory subphase is establishing a high level of physical conditioning to promote further training. General physical preparedness (GPP) is emphasized through general exercises as well as those unique to the sport. General exercises need not exactly mimic sport performance unless the sport dictates that rule. Sports like powerlifting and weightlifting are exception to that rule as their training is focused on the exact same tasks that are required during competition. If you take a few months off from squatting or power cleans, don’t expect your technique to look pristine when you resume training. Other sports like basketball, football, hockey, volleyball, and wrestling can take a more generic approach of simply conditioning its athletes to a high level without sacrificing sport technique. In sports like running, rowing, and swimming, where endurance is a necessity, aerobic endurance should be the primary objective of the general preparatory phase. Oppositely, general strength and overall work capacity should be the focus of strength related sports such as gymnastics, football, weightlifting, and wrestling. The second subphase of the preparatory period is the specific preparatory subphase. Though the training objectives are similar to those of the general subphase, the training becomes more specific and represents a transitional shift toward the competitive season. Training volume is still high but the majority of that volume should be devoted to specific exercises and movements directly related to the sport patterns. At the conclusion of the specific preparatory subphase, training volume is progressively reduced thereby allowing an increase in training intensity. Skill mastery is the focal point of this subphase. Therefore, when the intensity rises, the athlete does not suffer decrements in performance and overall technique. The competitive phase, for most sports, is the actual competitive season. General physical preparation was the basis of the preparatory period and remains the basis of performance. The competitive phase may last as long as four to six months depending on the sport. Team sports require a much longer competitive season than that of a powerlifter, whose competitive phase may be as short as five weeks. Team sports remain focused on skill perfection as they are asked to perform more regularly. Additionally, tactical maneuvers and strategical planning are commonplace during this phase. Conditioning and GPP must be maintained rather than increased. Maintaining GPP decreases the risk of injury to the athlete. Athletes that lose their conditioning level are at an elevated risk of reduced performance and injury. Training volume must be closely monitored so athletes and teams do not suffer lost performance as a result of high volume at heightened intensities. Peaking at just the right moment can be the difference between winning championships and losing seasons. Likewise, the competitive season may be divided into two subphases for organizational means. The precompetitive subphase could feature exhibitions or unofficial competitions that are used for the purpose of a skills evaluation. The main competition subphase would then be applied intently to maximizing one’s potential and facilitating exceptional performance at the main competitions. When multiple competitions are on the schedule, they should be ranked according to importance. Lighter competitions would ideally flow into progressively more challenging tests. Training intensity should be increased continually until approximately two to three weeks prior to competition. Then the intensity needs to progressively drop in a deload fashion (brief unloading phase) to ensure adequate physical and mental restoration before competing. By tapering training volume and intensity, fatigue and stress can hopefully be eliminated. It is absolutely imperative that the central nervous system (CNS) has sufficient time to recover prior to competition. Systemic fatigue can destroy performance. Allowing the athlete to replenish energy reserves creates the best scenario for optimum performance. Immediately following competitions, long periods of preparation, and hard work, athletes require rest and recovery. Athletes may have high levels of physiological and psychological fatigue. Muscle soreness and fatigue may vanish in a few days but CNS fatigue can remain much longer. Bompa believes that the transitional phase is often wrongly named the off-season as the term off-season implies the cessation of all activities and total rest. Sudden interruption of training and passive rest can lead to detraining. Detraining causes the erosion of most gains from the previous training periods. Additionally, completely suspending all activity can lead to other problems including but not limited to headaches, exhaustion, tension, mood disturbances, insomnia, loss of appetite, poor digestion, decreased testosterone levels, diminished motor recruitment patterns which lead to loss of skill, decreases endurance capacity, lost speed, reduction in flexibility, and lowered strength. (6) Many coaches have likened this to mountain climbing. Once you have finished trying to reach the peak, why would you want to walk back down the mountain and start the climb all over again? As a result, Bompa encourages athletes to participate in a transitional phase featuring a time of active rest. Active rest should begin immediately following competition. Training volume and intensity should be gradually reduced. Exercises and different activities should be emphasized over competition tasks. Athletes that compete in water should engage in land activities. On the other hand, swimming can be tremendously therapeutic to athletes like boxers, weightlifters, and wrestlers that compete and train indoors. The only case where total passive rest is admissible is in times of injury. Injuries should be dealt with immediately so the athlete may resume some level of activity as soon as possible. The transitional phase should typically last between three and four weeks but no longer than five weeks. Proper planning of the transitional phase can help ensure that the athlete can begin the new training cycle at a higher level than the preceding year. Figure 1 below illustrates the Periodization of the annual plan. Notice that each training phase is divided into macrocycles. A macrocycle typically represents a period of three to six weeks. One of the easiest ways to schedule an annual plan is to form macrocycles that equate to actual months of the year. Therefore a macrocycle would last four weeks and become very manageable. A microcycle is a smaller unit of time, usually represented by the weekly training program or one week. One individual training session or workout would denote the only cycle or unit of time smaller than the microcycle. Figures 2 and 3 below represent periodized training plans utilizing a bi-cycle (double peak) and a tri-cycle (triple peak). The more times an athlete is required to peak throughout the year, the more stress an athlete is likely to incur. Consequently, competitions should be prioritized to ensure continued peak performance at the most important times. Now that Periodization has been defined and the characteristics of the annual plan have been explained, part two of this article series will focus on the three different Periodization groups and their advantages and disadvantages. I will offer preferences and suggestions based upon my own personal powerlifting journey. Part three of the article series will introduce the findings of Alexander Sergeyevitch Prilepin and how they apply to all strength trainees, then deal with specific training volume, suitable intensities, as well as time management and organization. Upon completion of the series, my hope is that athletes and more specifically powerlifters will ultimately be equipped with the necessary knowledge to create a periodized annual plan of their own. 1. CyberSport Quarterly, Gideon Ariel, November 1996. 2. Practical Programming for Strength Training, Mark Rippetoe and Lon Kilgore, PhD, 2006, pp. 206-207. 3. Periodization: Theory and Methodology of Training, Fourth Edition, Tudor O. Bompa, PhD, 1999, p. 150. 4. “Primer on Periodization” Tudor O. Bompa, PhD, June 2004.
where can i find parts 2 and 3? thanks.